Unique in Europe. And in the world! 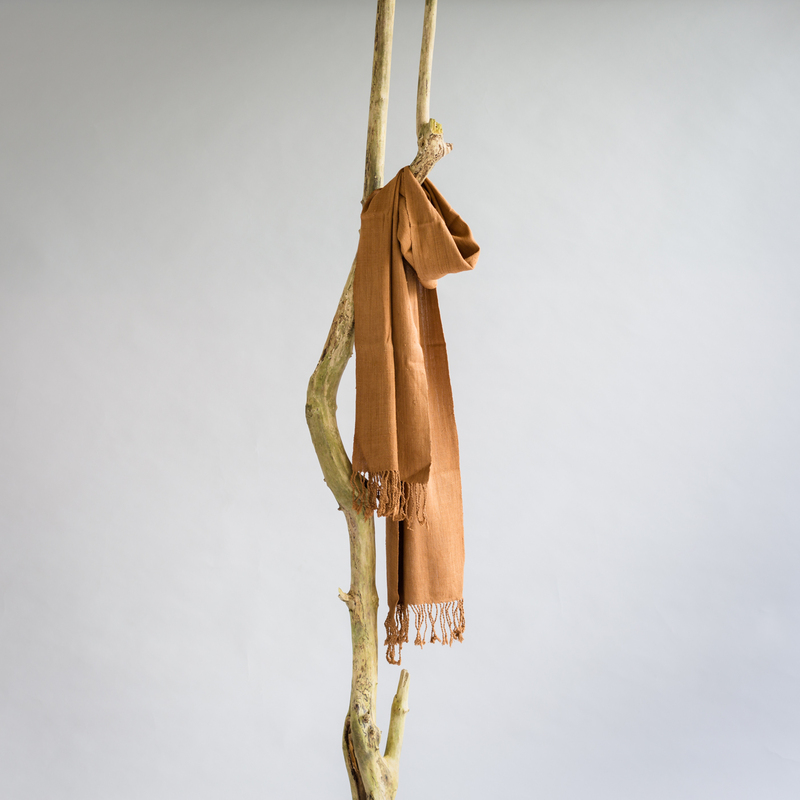 This naturally dyed scarf is handwoven by women living in the water villages on Lake Inle in Myanmar. Their specialty is the production of holy lotus silk. Lotus fibre is made from the golden threads that can be found inside the stem of lotus flowers. Lotus silk is used to make the robes of Buddhist monks. The lotus flower is considered very special in Buddhism. The ladies make each robe and each scarf with true dedication. Unique piece by unique piece.